THE SCANDAL OF HOMELESSNESS IN TORY BRITAIN. 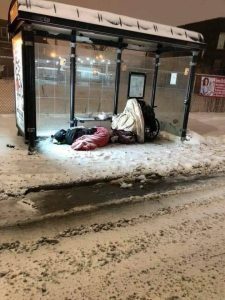 According to the latest figures released by the Ministry of Housing, Communities and Local Government the number of Homeless people on the streets of the UK fell by 74 to 4,677. These figures fail to take into account the numbers that died on the streets last year estimated at least to be 600. So in reality the number of Homeless on the streets in the 5th/6th richest economy in the world actually rose by over 500. 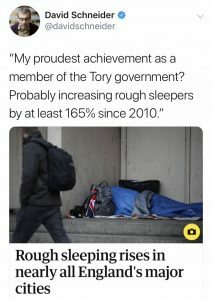 Yet we still see in towns and cities across the UK council officials vilifying and persecuting the most vulnerable in our society by removing their tents and belongings whilst failing to address the real problem caused by vicious Tory austerity policies. 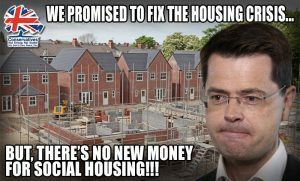 The Tories as usual are being economical with the truth and trying to play down the scandal they have created and claim that the Homelessness crisis is not getting any worse. The fact that nearly 5,000 people are living on the streets does not take into account the numbers housed in hostels, bed sits, or temporary accommodation or those who are sofa surfing. At least 320,000 people are estimated to be homeless according to official statistics, meaning approximately 1 in 200 people in the UK are homeless. This crisis is a result of lack of investment in mental health services, lack of support for ex-forces personnel suffering from PTSD, selling off council housing stock and not reinvesting in new building thus creating a shortage of affordable homes. Meanwhile across the capital high value properties acquired by absentee speculators lie empty whilst 151 families still wait to be rehoused following the fire at Grenfell Tower almost two years ago. 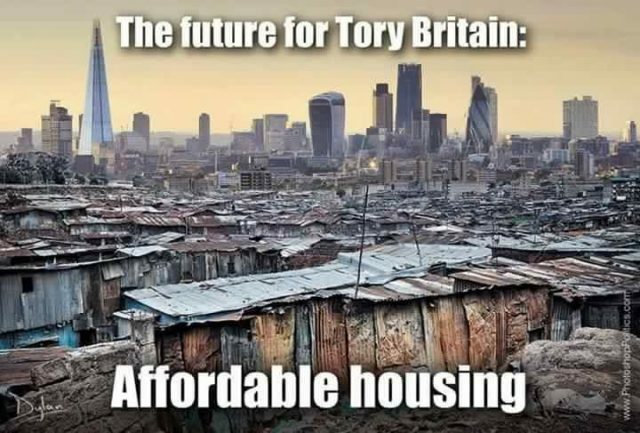 The population of the UK is governed by a party who are so far removed from reality that they exist in a bubble where they are protected from the vagaries affecting the 99% by their own personal wealth giving them an immunity to the privations endured by the rest of society. To tackle the crisis affecting those who are already homeless and those at risk of homelessness there needs to be a sustained investment in affordable council/social housing. Councils should be allowed to reinvest 100% of proceeds from any stock that is sold off under the right to buy system initially introduced by Margaret Thatcher (the architect of the UK’s housing shortage). Restrictions should be removed that prevent councils building homes and a council building programme which would be the biggest for at least 30 years should start with immediate effect. The Conservatives’ ban on long-term council tenancies should be ended, giving council tenants security in their homes. People should have a secure tenancy in a home built to high standards. The punitive bedroom tax, which has caused many people to be evicted from their home and their community should be banned. More council homes have been sold off under the Conservatives and only one in five have been replaced, despite long housing waiting lists. The right-to-buy policy should be suspended to protect affordable homes for local people, with councils only able to resume sales if they can prove they have a plan to replace homes sold like-for-like. These proposals are all part of the Labour Party manifesto to address the current crisis in housing and homelessness. The Tory Party will never address these issues due to vested interests. 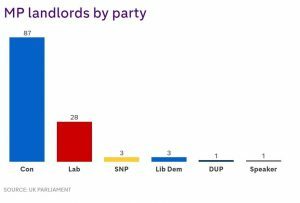 Out of 123 MP’s who are private landlords 87 are Tories. 72 landlord MPs were among those who voted down requirements on landlords to ensure that homes are “fit for human habitation”. The homeless and vulnerable of this country deserve better from our politicians and the only way that can be achieved is by a change of Government, so when a General Election is called, whether it comes about as a result of the shambles that is Brexit or if the country has to endure another three years of Tory mismanagement, when that day comes we must elect a Labour Government to ensure that this disgraceful treatment of the most vulnerable in our society never happens again. Next articleEmily Thornberry Challenges David Lidington – PMQs?